If you are looking to embark on an energy charging tour of the long fabled tropical islands of India, you have come to the right place. We have put together 8 of the most gorgeous island destinations, famed for their stunning beaches, diving expeditions and other legendary water sports. You much include at lease one of these tropical paradises on your next trip to India; you’ll be sure to have a memorable, fun filled vacation with family and friends. 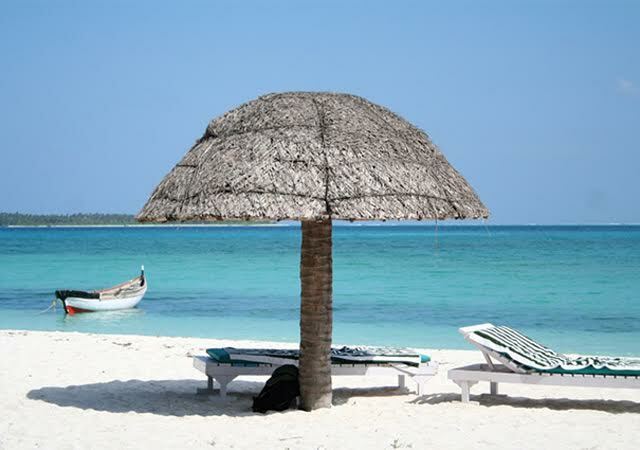 The pristine islands of Lakshadweep (there are about 36 islands, out of which only 6 are accessible for tourists as they are under an eco-tourism plan) off the coast of Kerala is a beautiful tropical island destination. Whether it is just lazing under the sun on the beach, or going off on a consuming diving or snorkeling expedition, Lakshadweep has something for everyone. It is a must visit tropical island, but remember not to wear skimpy clothing because the majority of the population in these islands are Muslims and they may not appreciate it. Escape into the shimmering waters of the Andaman and Nicobar Islands where the tropical rainforests and mangrove fringes along the white sandy beaches are waiting to greet you. 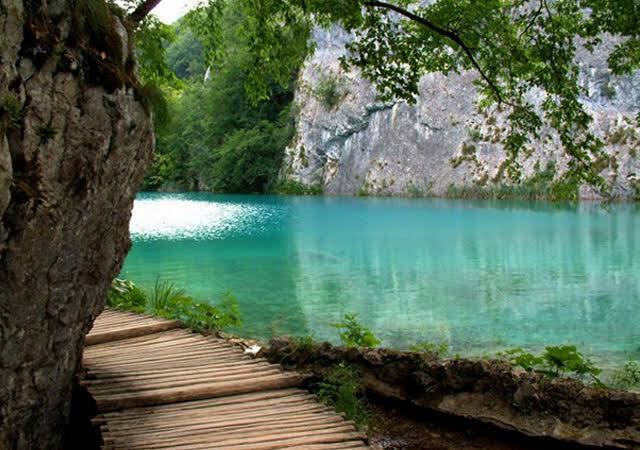 A visit to the Limestone caves, wildlife sanctuary and the mud volcano are favorite activities of tourists. This is a destination where female solo travelers can travel safely and freely pursue their activities, be it snorkeling, kayaking or exploring the forests. Would you believe it if somebody tells you that India has an active volcano? It may seem preposterous, but it is absolutely true. 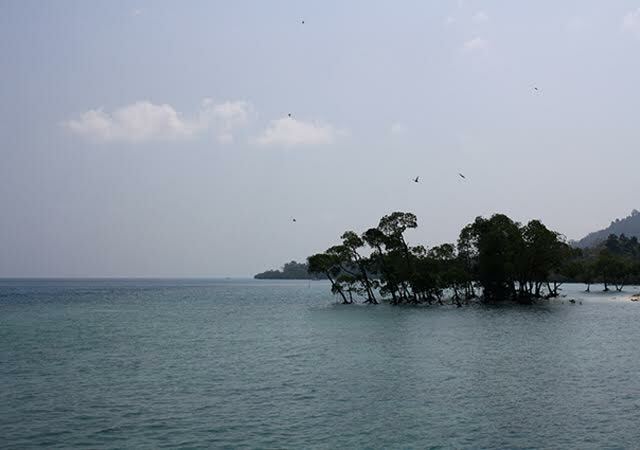 Visit the Barren Island of Andaman and Nicobar and find out for yourself. 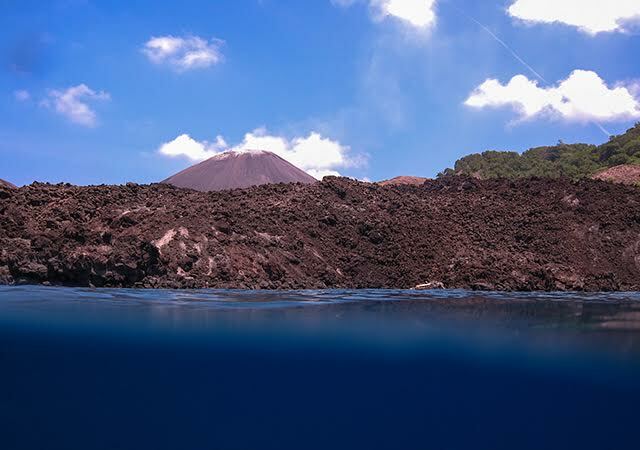 Located about 136 kilometers northeast of Port Blair, another island of the Andaman, you can feast your eyes on the fumarole spewing thick sulphurous smoke. Getting a ‘dawn’ view would be the most gorgeous of all because you can watch the volcano rim transforming itself from fiery red to calming ash. Do your research and be aware of the tumultuous origin of this island before you marvel at the dark, deep waters that seemingly invite you to indulge in pensive contemplation on the various pranks of nature. 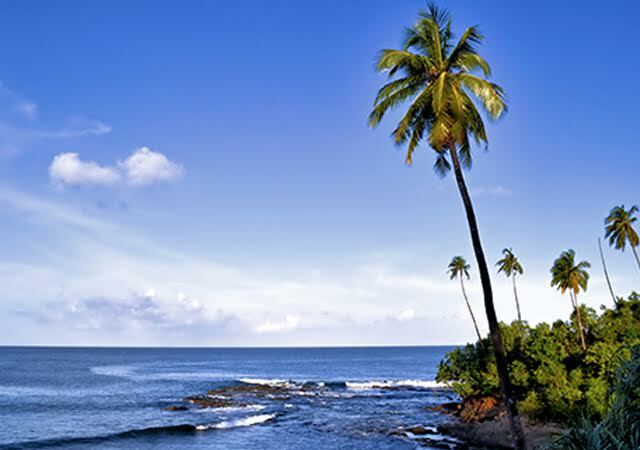 With its rugged coastline and lush forests, Port Blair is the headquarters for the Andaman group of islands. You would be greeted by a vibrant group of people hailing from various places – West Bengal, Tamil Nadu, Andhra Pradesh, and so on. Though you don’t have any underwater activities, you would definitely be fascinated by the rich history, including its well-maintained museums and galleries. You can take a tour along the various buildings that are several hundred years old. 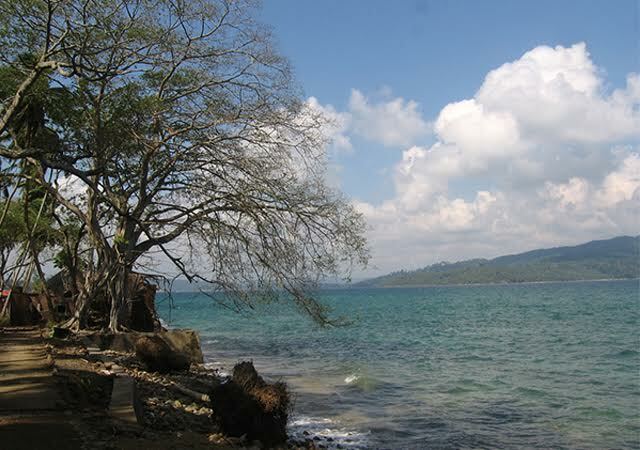 If you are ready for the plunge, then head to Havelock Island, located 55 kilometers northeast of Port Blair. The island is popular among diving enthusiasts. So how about taking home some enthralling stories from the depth of the ocean to incite your friends? 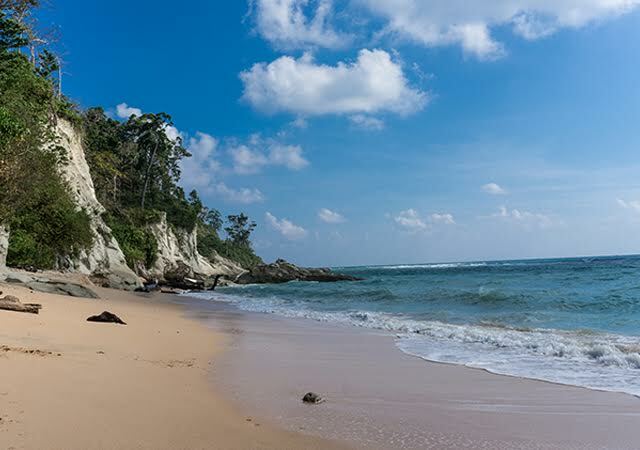 Situated to the east of Port Blair, Ross Island was initially the headquarters of Andaman and Nicobar Islands until an earthquake ravaged it, followed by a Japanese invasion. As it is only two kilometers from Port Blair, you can visit the island on a half day trip and just walk around the historical buildings. You can find some machine gun nests there – the remains of the Japanese invasion. As it is a short trip, you can always take a ferry in the morning and return by afternoon. While touring the island, you can feast your eyes on the numerous deer, ducks and peacocks. If you have plenty of time to spare, how about heading to the back of the island so you can just sit there and gaze into eternity? The sounds of the breeze and the sea are very calming and invigorating. This is an island that forms a part of Lakshadweep islands. Though the island is uninhabited, you can stay at the only resort. 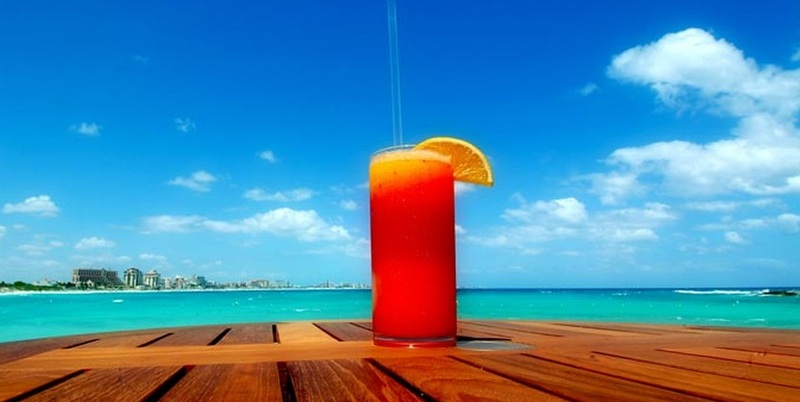 You must however, call ahead and find out if the resort would be open when you plan to visit. 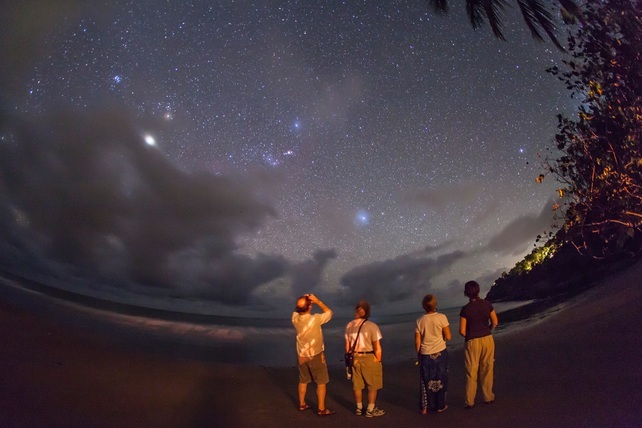 The island is noted for its extreme beauty, silence and breathtaking views. All around the island you can enjoy sparkling coral reefs and the shallow lagoon that it encloses. 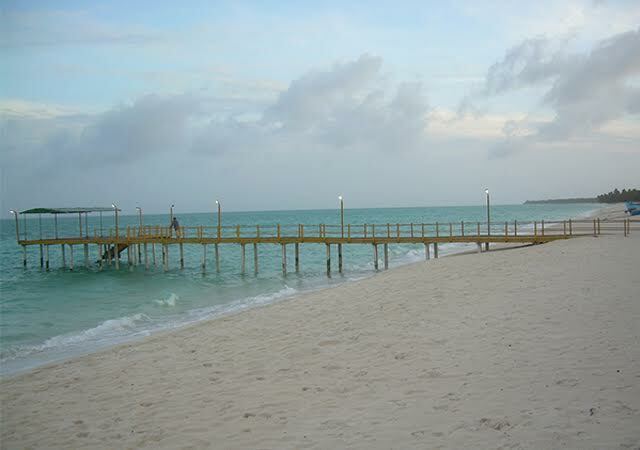 The resort has 60 beach cottages, a well-stocked bar and a multi-cuisine restaurant. Some of the activities that you can indulge in while at Bangaram Island are snorkeling, deep sea fishing, swimming and scuba diving. Of course, if you prefer to stay at the beach, you can participate in several beach games as well. Daman and Diu are actually twin islands that were under Portuguese control for more than 450 years. As a result, the islands became renowned for their magnificent buildings exuding splendid architecture, unrivalled natural beauty and serenity beyond comparison. Daman and Diu are connected to the mainland by a narrow channel and offer excellent adventure in the form of snorkeling, scuba diving, and plenty of water sports and beach activities. Go on a tropical vacation to these islands and enjoy a mind calming escapade, where you can put aside your work and breathe in raw nature decked in resplendent glory.